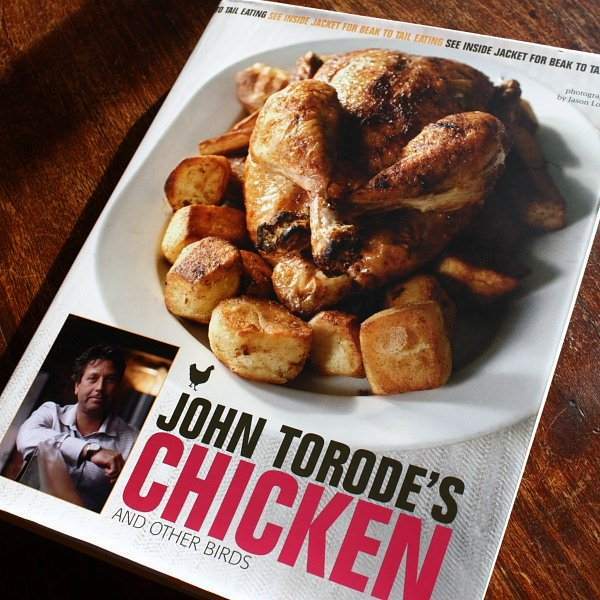 is the latest book from John Torode, the Australian chef behind Smiths of Smithfield and one of the presenters of the BBC’s Masterchef. The purpose of Torode’s book is very simple and very clear. 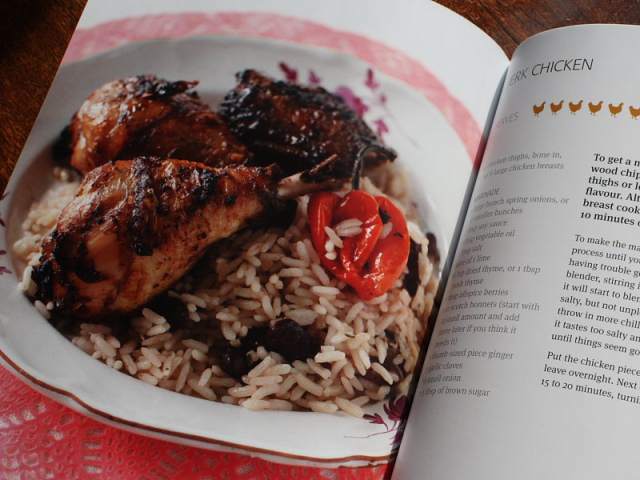 He sees chicken as one of the cornerstones of a cook’s repertoire. “If you can roast a chicken, you will survive”, as he puts it. This is a collection of recipes intended to lift this most popular of meats out of the doldrums, to give people the confidence to cook it with flair and passion and, above all else, to get the most out of it. There are chapters on soups and stocks, with recipes for a simple chicken soup with mazo balls alongside broths tinged with the influence of the Pacific rim. Other chapters focus on salads, curries, roasts, tarts, pies and pastries, and somewhat inevitably for an Aussie chef, barbecuing. The collection has a healthy south-east Asian edge to it in parts – Asian ingredients are much in evidence in many of the dishes, and used to great effect. A jungle curry of guinea fowl takes a close relative of the chicken and gives it a northern Thai treatment, the flavours bordering on Chinese, hot with yellow curry paste, savoury and sweet notes from fish sauce and Shaoxing wine undercutting the heat , the dish balanced with bok choy and mint. An inventive but easy dish. Other examples of thoughtful cooking are everywhere. A beautiful dish of pot-roasted pigeons with bacon and cabbage contains only a handful of ingredients, put together in a way that leaps off the page as something that’s easy to do. More daunting recipes, such as confit duck, are stripped back and shown to need little more than patience to complete with stunning results. Pairing the newly-made confit with haricot beans, sausage and pancetta is never going to win any awards for innovation, but it’s a classic combination, guaranteed to win. There are other more complicated dishes, recipes to offer a challenge. Turkey pastrami involves brining and smoking in a wok, something that I doubt my smoke alarm would tolerate, but which I know I’m going to try, when everybody else is out. The classics are all here. Torode tells us how to roast a chicken, gives his take on the chicken sandwich (really, is there a better sandwich?) and runs through a few essential techniques, such as grilling. A quick overview of how to joint a chicken properly is also included, something that I suspect many people don’t know how to do properly. 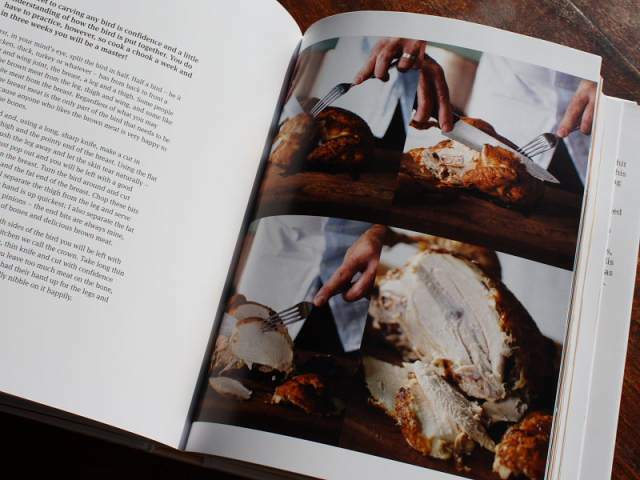 If you can joint a chicken, you can use it all, and the inside of the dust jacket has a ‘beak to tail’ view of what to do with a chicken. The intention is to get the most out of the bird, to use it all. is accessible, useful and has some great recipes. It tempts you to look at the humble chicken again and want to do more with it than just roast it. It’s one of those cookbooks that’s less of a celebrity chef vanity job and more of a manual, a practical guide to getting the best out of the amateur cook. It’s the type of book I want in my kitchen. I enjoyed Torode’s book enormously. If his aim was to kindle some enthusiasm for chicken, he’s succeeded, and done a thorough and thoughtful job of it, too. Thanks to Quadrille for the review copy. This sounds like a wonderful book, with recipes that use flavors that I adore. Uh oh! Another book I want!!! Must. Stop. Buying Cookbooks. Very thorough review. Thanks for sharing! What a great book — I love collections of recipes that run the gamut of skill level, helping people become confident with simpler recipes so they can move on to more complex ones. Looking forward to seeing your posts if you decide to do the turkey pastrami!